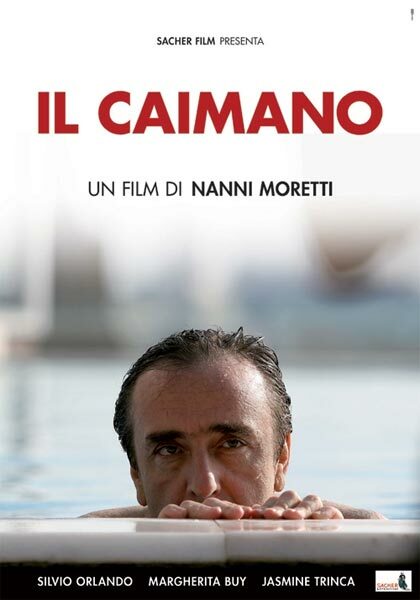 Nanni Moretti’s The Caiman (Il Caimano) is an eclectic and at times frustrating movie which satirises former Italian Prime Minister Silvio Berlusconi, makes some limited observations about the Italian film and television industry, and explores the personal and professional crisis of a C-grade filmmaker. Called into action at the last, Moretti presents an immediate and particularly incisive film that allows Italy (and its cinema) to look forward to a more politically engaged and courageous future. He graduated at L’Orientale University of Naples disserting a thesis about syncretism and spirituality in Brasilian music. 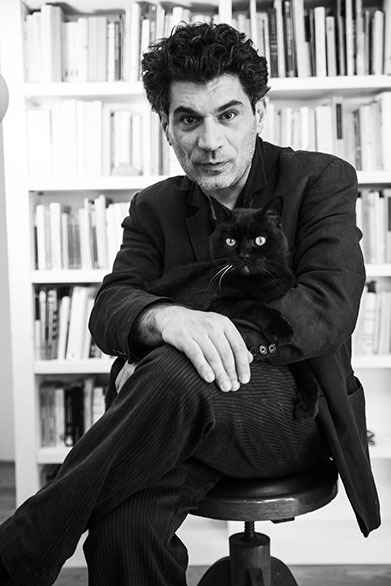 Artist tout court, he published five albums. The most recent one is Canzoni Nascoste, hidden songs. This visit is compulsory for students attending the course F1603 Art and Architecture in Renaissance Venice, it is highly suggested for students fom F1625Training in UNESCO World Heritage Studies and it is open to all interested students and faculty. To participate, please sign the list posted in the classroom corridor by Wednesday, November 29. We will visit Villa Emo and Villa di Maser, located in the countryside of Treviso province. 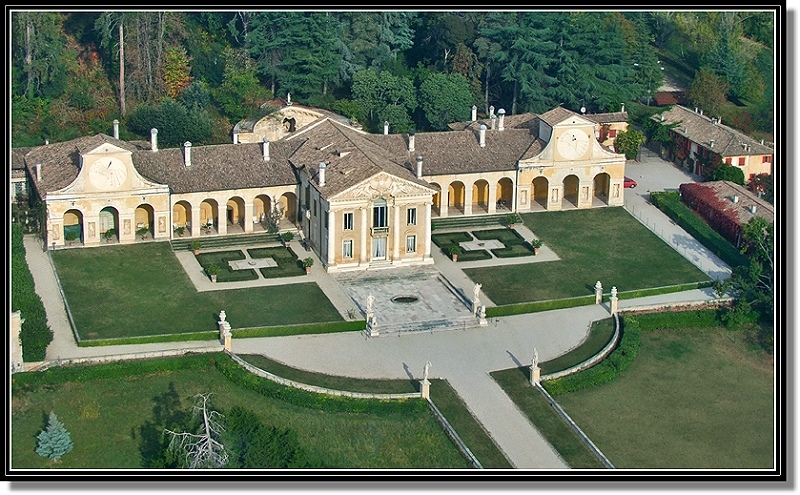 They are two among the greatest masterpieces of the architect Andrea Palladio. Transportation will be by private bus arranged by VIU. Students attending the courses Art and Architecture in Renaissance Venice and Training in UNESCO World Heritage Studies will have their visit sponsored by VIU. For all other students and faculty, the total participation fee is 12 €, due at the Front Office by Thursday, December 1. Villa Emo: this villa witnesses the strong bond existing between the Venetian nobleman Leonardo Emo and the Fanzolo lands, which he wished to improve in order to foster crop production and livestock breeding. He commissioned there to Andrea Palladio the design of his mansion. Since 1996, Villa Emo has been conserved as part of the UNESCO World Heritage Site City of Vicenza and the Palladian Villas of the Veneto. Villa Barbaro is a UNESCO World Heritage Site as well. With its six rooms frescoed by Paolo Veronese, it hosts one of the most important works of art of the Venetian Renaissance. Not only does it represent a fascinating artistic and historical heritage, but it is also a working house, whose wines are exported all over the world. The visit is offered by VIU and open to all interested students and faculty. Due to the limited seats availability, please remember to sign up to reserve your entrance pass. Admission is on a first-come-first-served basis. Saint Mark’s Basilica is one of the most famous Italian cathedrals and enshrines an extraordinary artistic and cultural heritage. 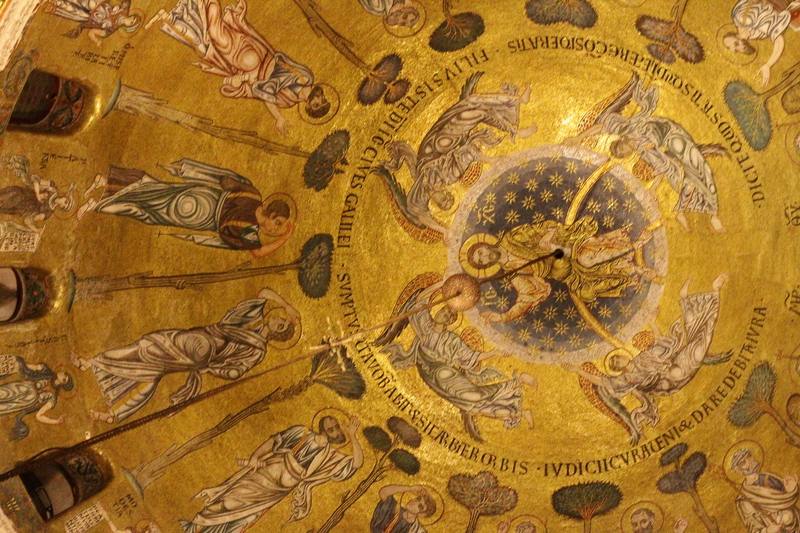 The night visit to Saint Mark’s basilica represents a unique opportunity to admire this magnificent artistic and architectural masterpiece, surrounded by the very evocative and enchanting night atmosphere. 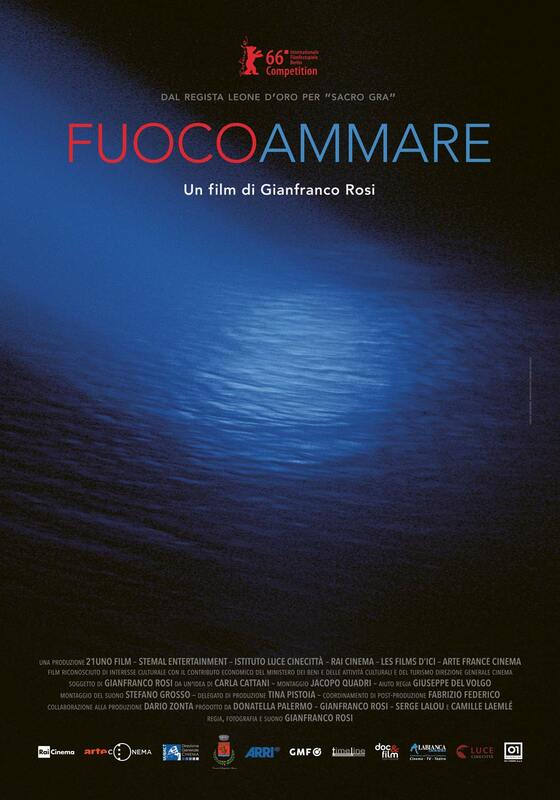 “Gianfranco Rosi’s beautiful, mysterious and moving film is a documentary that looks like a neorealist classic. It is a portrait of Lampedusa, the Sicilian island where desperate migrants from Africa and the Middle East arrive each year hoping for a new life in Europe: 400,000 in the last 20 years. 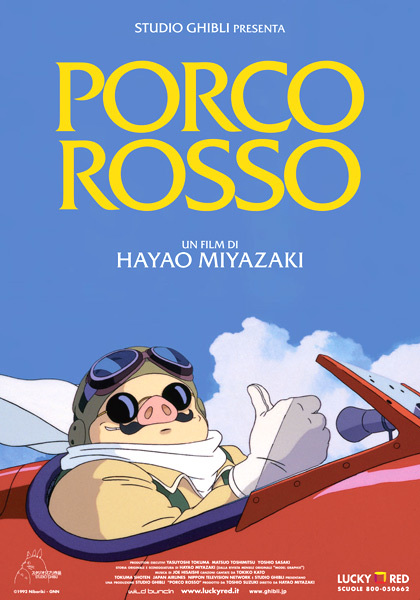 A celebration of his own fascination with aviation, director Hayao Miyazaki’s Porco Rosso stands out among the Japanese animator’s films. This motion picture is set over the Mediterranean in an age when seaplanes ruled the waves. It tells the story of a valiant pig, who fought against flying pirates, for his pride, for his lover, and for his fortune. The name of the hero of our story is Crimson Pig. “But the plot is hardly the point here – the animation is delightful, colourful and detailed and the flying sequences in seaplanes as old-fashioned as this style of animation are exhilarating”. 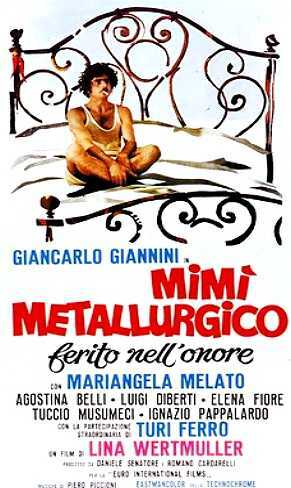 Mimì is a Sicilian laborer whose refusal to vote for the Mafia’s candidate leads him to lose his job, his home and his wife. He then starts a new life in Turin, where he falls in love with the beautiful, radical Fiorella. But the past comes back to haunt him, bringing him back to his biggest obsession: defending his honor, causing horrendous but hilarious consequences. A fervent satire of Italy in the 1970s, The Seduction of Mimì takes aim at a corrupt government, compromised labor leaders and the sexist politics of men in power, with very entertaining results. 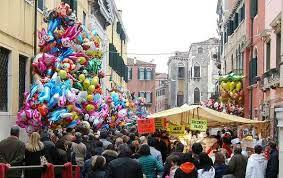 The Feast of Our Lady of Good Health is a religious festival held in Venice every year on November 21. The Basilica of Santa Maria della Salute was hence built and every year since then the Venetian people gather to pray for receiving good health all throughout the upcoming year. On this special occasion you will be able to cross a temporary votive bridge connecting S.M. 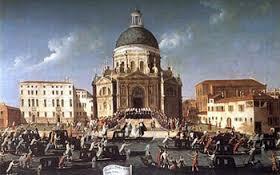 della Salute to S.M. del Giglio. It will be accessible from Saturday, November 19 at 12.00 pm to Monday, November 21 until the end of celebrations. A hallmark of this festival is the presence of many colourful and sugar scented stalls located in the proximity of the cathedral selling balloons for children and cotton candy, toffee apples, chocolate coated strawberries and many more delicacies for all those wishing to feel like a child again. Students attending History of Venice will enjoy Festa della Salute accompanied by Professor Pes, soon after having visited the Jewish Museum. This is a co-curricular visit reserved to students attending the course F1619. The Social Consequences of Globalization. The case of the Italian Northeast. The visit will be by private bus, consisting in a guided ride through the urban sprawl of the Venice Metropolitan Area. It will be guided by Prof. Borelli and Prof. Laura Fregolent from IUAV University of Venice. All participants will have the visit sponsored by VIU. The Italian Northeast – because of the massive development of industrial districts and its diffused industrialization model – is one of the most interesting areas in the world in dealing with the effects of mature globalization. This field trip will allow you to get to know at first hand the dispersal of territorial functions and spatial self segregation: unplanned development, infrastructural congestion, waste of land, suburbanization and urban sprawl in the test area of the Metropolitan City of Venice. Due to the limited number of admitted visitors to the guided tour, the visit is reserved to students attending the course History of Venice, who will have their visit sponsored by VIU, and open to a small number of interested students and faculty. The Jewish Museum of Venice is located in Campo del Ghetto Novo, between the two most ancient synagogues in Venice. It is a small but very rich museum founded in 1953 by the Jewish Community of Venice. The museum is divided into two areas: the former is devoted to the cycle of Jewish festivities and to liturgical objects, the latter -planned with a greater educational approach- deals with the history of Venetian Jews.